We all understand that video games can cause problems, we hear that every day. I won’t even go into the many ways that some of these games can create antisocial and apathetic behaviors. I want to talk about the video games that teach empathy, better human connection and understanding. Like a good storyteller, a video game can immerse you into another world. Minecraft is one of those games. It was created by Swedish game developer Markus Persson and later developed by Mojang. The game allows players to build with a variety of different blocks in a 3D specifically generated world, and requires lots creativity from players. Here is a good article on how one school utilized it and the outcomes. If you would like to better understand video gaming check out this study called “The Limits and Strengths of Using Digital Games as “Empathy Machines“. It’s an easy read and very informative. Here are some video games that put you in someone else’s shoes. Enter the world of poverty in Spent; you make a choice, that choice can lead you down a different path and outcome (you can’t win at this game). It reminds us that people who live in poverty make these types of decisions every day. Lonliness is a minimalistic game that was created by a teacher for his Korean students. Peekaville is a place where PK-4 children create their own avatar who go on quests, overcome challenges, and manage emotions like empathy, respect, and self-regulation (basic limited game free/$96 per classroom). Chella Ramanan and Claire Morley are two UK-based women that created a game (under development) called Before I Forget. They wanted to tell a story that honestly represents the crushing experience of dementia. This game is currently under development and should be released in 2019 sometime. Depression Quest is a game you play as someone living with depression (this is a difficult one). I am a fan of of the “Toca” apps for kids, some are paid, some are free. My grandson loves playing them and I find them educational, entertaining, and fun. PS: I’d love for you to post some of your favorite video games that teach feelings. 2/14/2019 Update. 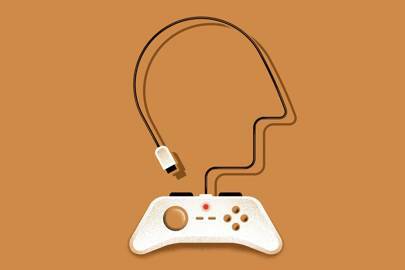 EWCed just published a teaching lesson on the possible health benefits of video games. Click here to view. Thanks for sharing Rose. My daughter begged me to play Bit Life. It’s sort like the game “Life”. It’s interesting because you make choices and it will reveal a positive outcome or negative one. It’s targeted for teens and adults. Yes Bit Life is definitely for older teenagers. If you give it to a child less than 12 or 13 you may have to answer some questions. The reviews are quite good from parents who stuck to the recommended age group. Thanks Tiana.